Heeh! She sometimes just cutes out without her knowing! And if you're flappy and you know it you may also flap your wings! I would also be happy when I am around Derpy. 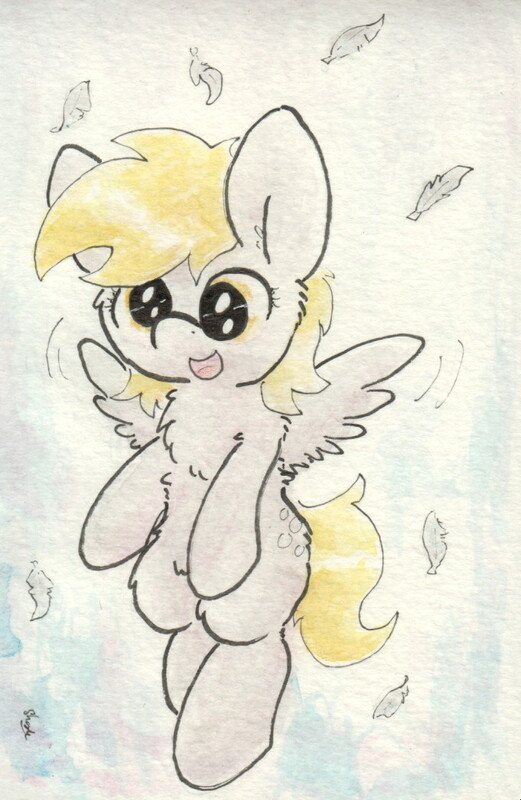 And since Derpy is around Derpy 24/7, I imagine she's happy 24/7. I must've been very tired when I wrote that comment, though! Because I had read the title as "Feeling Happy"! Aww, that's okay. It just means that you automatically translate flappiness to happiness! True! It's a universal law.